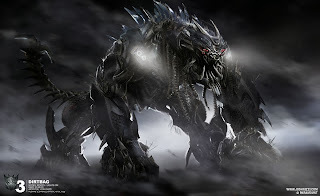 a) Back in 2007, the "live action" Transformers movie was released which featured the giant Transformer robots fighting their adversaries the Decepticons. 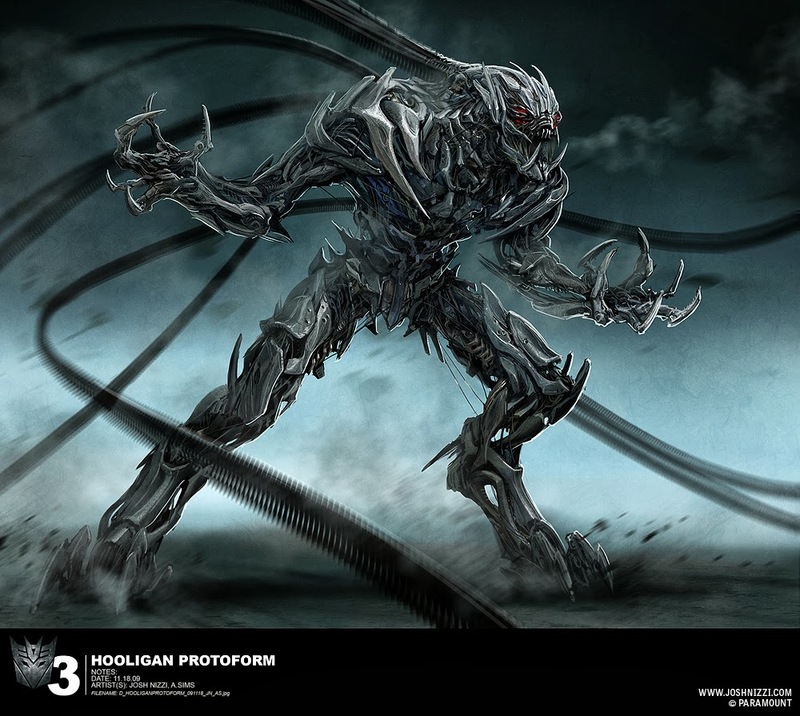 In their natural form, the Transformers and Decepticons had a somewhat technoorganic form that could be perceived as loosely evolved from the style associated with art nouveau like technoorganic style Giger's art. 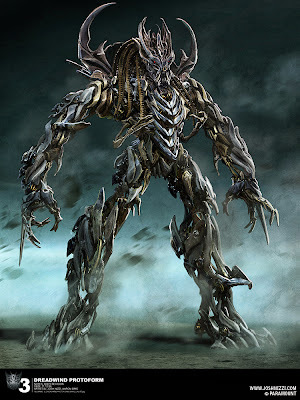 b) Once Alien Vs Predator: Requiem was unleashed onto the public, I myself started to wonder what could be done to design a Predalien that was better than the one from that film because I wanted to imagine something better. Then Transformers came out that year and I started to ask myself what could be done to design something in the style of the new techno-organic style that was starting to crop up in Transformers. 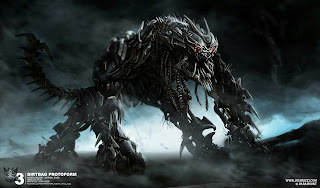 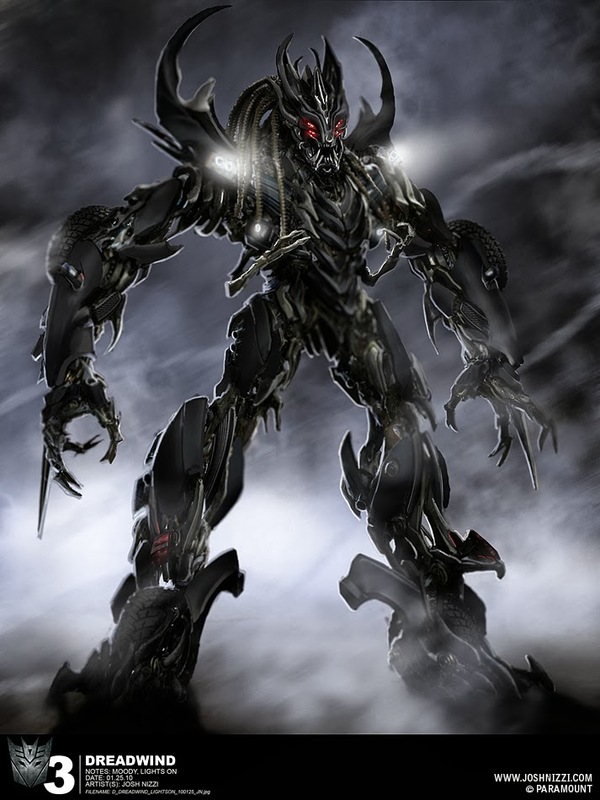 c) As it happens, for 2011's second sequel in the series I noticed that, Josh Nizzi, concept designer for Transformer 3 started designing Decepticons with dreadlocks, gothicky looking bodies and faces loosely similar to Predators and also exploring directions that designs for a Predalien might loosely go. 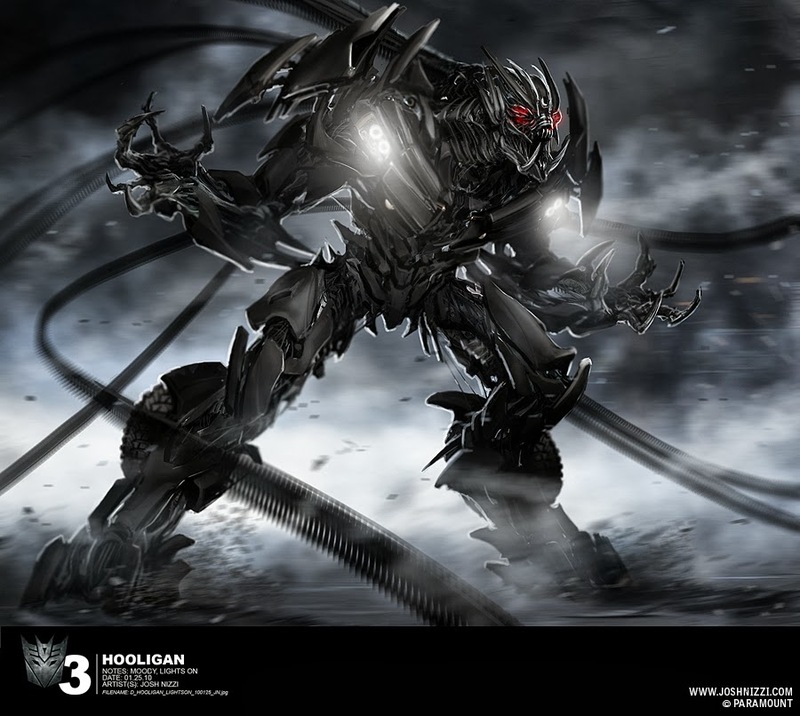 The first of the images here, of Hooligan, appears to be the most prominent in this way.